The Trading Methodologies of W.D. Gann, Second Edition is a detailed yet accessible guide for trading, forecasting, and investing—using the principles of technical analysis to identify opportunities for profit. Beginning in the early 20th century, W.D. Gann developed pioneering methods of technical analysis that continue to hold value for modern traders. Gann’s insights on interpreting market conditions and recognizing patterns are a valuable addition to any trader’s strategy. The often cryptic nature of Gann’s original publications, however, prove challenging to modern readers. This valuable guide demystifies Gann’s techniques, providing clear and concise explanations and easy-to-follow instructions for today’s traders and investors. Expert trader and technical analyst Hima Reddy draws from her extensive experience to provide a systematic approach to Gann’s methodologies. This revised second edition includes expanded coverage of essential topics, more in-depth examination of key principles, and greater focus on contemporary applications. From the history of his works to the application of his principles, The Trading Methodologies of W.D. 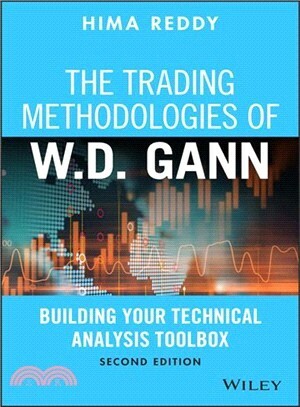 Gann: Building Your Technical Analysis Toolbox, Second Edition is a must-have for traders and investors of all levels.